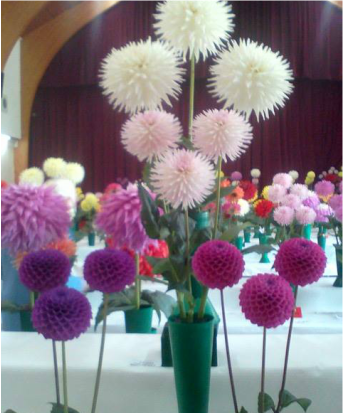 Thank you to everyone for attending our 49th North West Dahlia Society show. 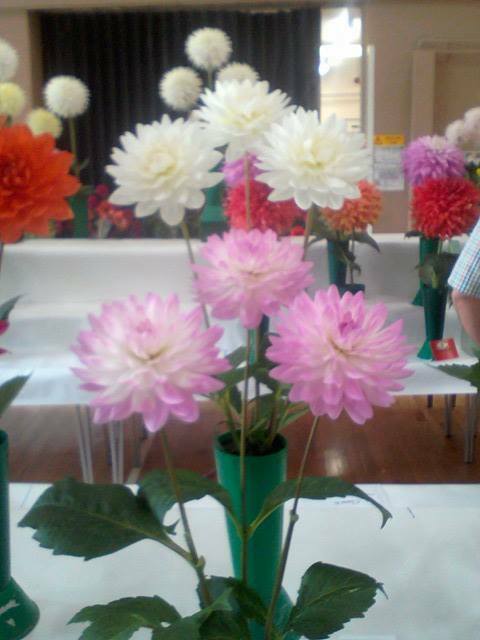 It was, once again, a great success and we would like to thank the Master Judge, Dave Matthewman, for organising a great team of judges who did a sterling job. For the second year in a row Ian Sutherland won a silver medal and best exhibit in show for his championship winning exhibit consisting of Barbarry Surprise, Mary's Jomanda, Trelyn Kiwi and Kenora Challenger. 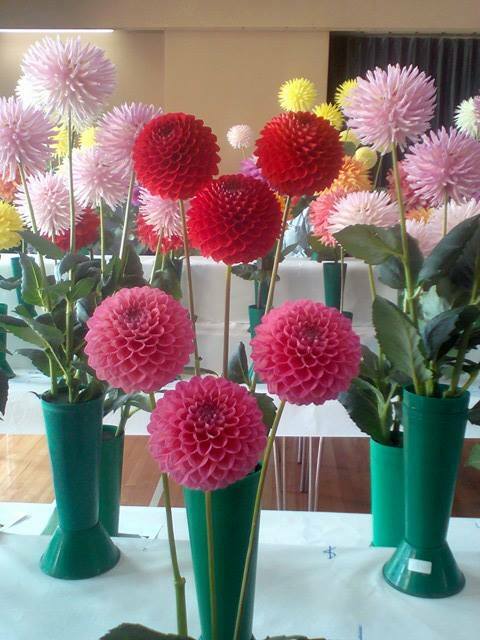 Also for the second year running Jimmy Heginbottam won a bronze medal for the best vase in show. 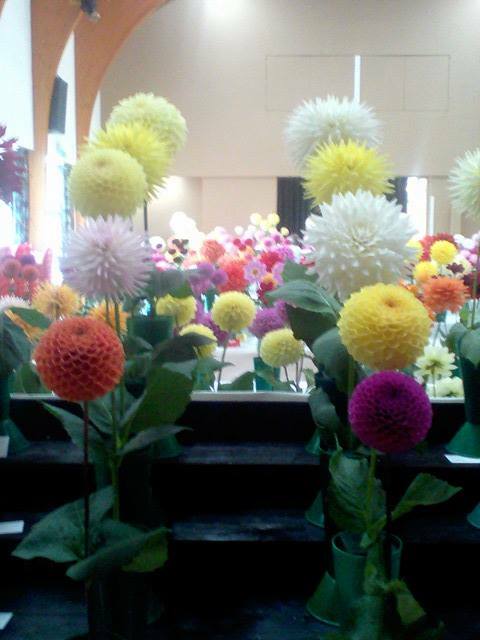 The second bronze medal went to Doug Fishwick and Diane Carr for the best exhibit in the intermediate section.